SheHulk #2 + 3 Two new paintings of She-Hulk in all her lovely green-ness. 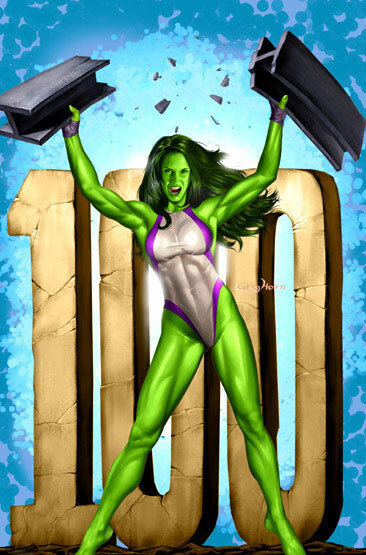 Issue #2 is technically She Hulk's one hundredth book, and editor Tom Brevoort thought it would be cool to do an homage to the cover of Iron Man #100 that Jim Starlin drew way back in the 70's. 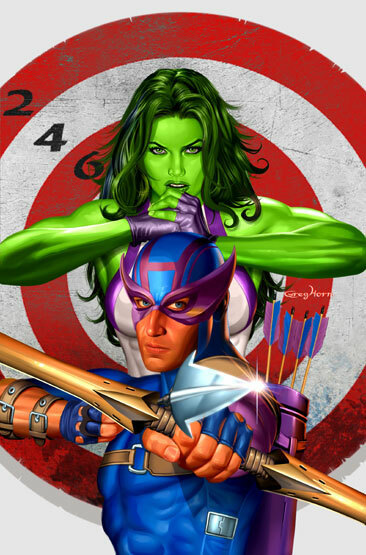 Issue #3 shows the return of Hawkeye. I was supposed to paint classic 80's Hawkeye, but I got mixed up by all this House of M stuff, and drew him in his updated 2005 form.